If you follow me on Twitter then you already know that yesterday I had a traumatic experience. I was at the gym and I wanted to weigh myself. Well I should back up, I say I was at the gym like I was working out. Actually our church is connected to a gym so I have free and easy access to their scales whenever I want. I'm not sure if I have free and easy access to the gym equipment. I have never asked for fear that I would have free and easy access and then I would feel convicted to start working out. I'm all about avoiding conviction. So in order to figure out just how much weight I have gained since I got married I ventured over to the dreaded territory to step on the scale. When you can't get your wedding ring off your finger anymore, you know something is happening in the weight department. And it ain't going down. So after church was over and everybody was fellowshipping (is that a word) I snuck over without anybody looking. It was do or die time. 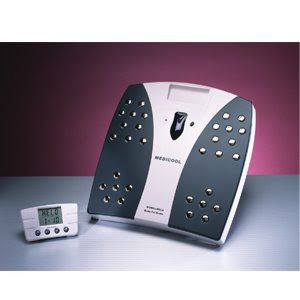 I got in the gym and found the nearest scale, it was one of those stand up ones that you use at the Dr.'s office. I was not about to stand on it and fiddle back and forth with that metal piece until I found the appropriate weight. I wanted accuracy and I wanted it NOW. So I found a black scale sitting on the ground, it seemed perfect. I tapped it with my foot and it AUDIBLY said: Please Step On. I was a little taken back by a talking scale, but the woman sounded so polite and I thought, there was no way this thing was going to announce my weight. Surely it would just greet me, allow me to do my business and then tell me goodbye. SURELY it would not mention any details in between. Oh friends, the polite lady inside of that scale betrayed me like I have never been betrayed before. She vocalized the numbers on that scale loud and clear. As if I couldn't read them and wasn't traumatized by them enough. I can read ma'am. Thank you very much. I actually screamed when she announced the numbers. It scared me for those numbers to be spoken out loud. I came home and looked up this scale online. I wanted to know what on earth would possess somebody to own one of these. I mean most people who weigh themselves cover up the numbers so nobody can see them. Why would they want them shouted for all the world to hear? I found out that the scales are intended for those who cannot see very well (or at all). Which made total sense to me and then made me feel bad for doubting the use of these very sweet machines. But it did leave me with two questions. 2. WHY DOES IT NOT COME WITH A WARNING LABEL!?!?!? Your twitter had me cracking up yesterday. And then I was afraid of these scary machines being put in at my gym! Thanks for posting a picture. Now I'll know to stay away! OH MY!!! I would have been horrified!! PS - you are SO skinny! Omg!! Bless your heart!! In church none the less!! I just bought a scale last week. I've been stress eating, a lot. Apparently more than I ever have in my life... Ugh!! Stupid, mean scales!!! I'm sorry yours betrayed you as well!! Seriously, that need a Caution sign! That's just mean! Ok, I saw this on your twitter and almost died!!! Pretty sure I would have lauched the scale across the gym! And you are super skinny so I'm sure that it was a little number. honey, you are tiny!! your twitter had me DYING yesterday! i would have thrown that thing across the room. i agree with you, there should be a warning. if i got on that with people around there would be dramatic consequences. LOL That is terrible!! Were there people around when it shouted out your weight? I would have ran out of there as fast as I possibly could. You look so tiny...I can't imagine you need to lose weight. Though I know all too well, the feeling of my wedding band cutting of my circulation. Ugh. How funny! I, too, would have been mortified! These scales are scary! My grandma has one (she's legally blind!) and my little girl loves to go play on it when we're visiting "GiGi". I always think someone else is in the room talking to my little girl!! Darn that polite voice. She totally tricked you. I would be mortified. I would have died if a scale announced MY weight out loud! You're teeny tiny girl, you look great! I don't think you have anything to worry about ;) But I understand the sheer terror that you experienced! Such a hateful little scale... and so weird. I've never heard of a scale that announced stuff like that!! That is terrible!! I would've died if it had happened to me, and I don't think you look like you've gained a lb. I would have totally screamed too to cover up the voice so no one else could hear! And yeah... my wedding ring has been stuck for years due to increased weight... that's my weight loss goal - not so much a number, but being able to get my ring off!!! yes, that's HORRIBLE!!! but, like i said before, you're teeny tiny so i'm sure it wasn't terribly embarrassing! Dear god! That is tragic! oh my goodness- NO WAY i would ever buy one of those things. This is awful! I would definitely agree with a warning label being necessary! that should never be allowed! But your a skinny minnie anyways! I'm so glad you shared the whole story! You look great! I was starting to lose my lovehandles when I was doing the shred everyday, but then I quit doing it daily and they have reappeared. I guess working out is important. dang! Oh you poor thing! You are so skinny!!! Oh goodness, that's awful! I certainly gained "the newlywed nine" after the wedding. Silly guys can eat whatever they want! Ugh! OH goodness you poor poor thing, I hope you are not scarred for life! ;) Kidding! wow. That's really really awful. There should DEFINITELY be a warning label of sorts. ugh. scales can be some of the cruelest devices created. Hey! I know you don't know me...I'm new to this blogging world and I came across your site yesterday and I and was dying when I read this post! HILARIOUS!!!! i was going to tweet you yesterday!! i can't believe it, that is crazy, although you totally crack me up! and yes you are so tiny you have nothing to worry about=)! i would have screamed out loud too if i got on it especially right now and that happened, haha! Thanks for the warning cause I NEED NOT step on one of those... EVER.